What's travel, food, and fun without mobile? These days, it all goes hand in hand. Help guide your customers to better experiences all around with thoughtful, responsive messaging moments in real time. Always on and always connected. According to Criteo, 40% of Americans said that they use smartphones to make last-minute bookings while they're already traveling. And why wouldn't they? Today's solutions move with you and keep you connected wherever you are. Your customers are literally everywhere at once. They're not just jumping time zones. Think with Google found that 94% of leisure travelers switch between devices as they plan or book a trip. That means you can find them moving across channels anywhere there's a WIFI connection. When it's time to make decisions, they use their apps. When it comes time to close the books on the next big trip, your customers are likely looking for your app. Criteo says that 40% of American travelers and 61% of all smartphone-wielding travelers are likely to book a hotel on an app. Every guest wants to feel like a regular. According to Deloitte, 37% of adults report high or extreme satisfaction with a restaurant when it remembers them, their preferences, and their needs. And it's not a lot to ask for. This is the personal touch that'll keep them coming back for more. Airbnb and momondo are among the new leaders in travel marketing. Learn from the experiences that strengthen their customer loyalty. Read How. Looking for smarter, fresher ways to appeal to your customers' appetites? Here are three new-school rules for quick service engagement. Find Out More. Mobile's changed everything. Discover how you can use its speed and convenience to your benefit with these easy-to-implement tactics. Dive In. Holidays aren't the only times customers consider travel. Engage their bucket list with messaging that makes it all seem possible. Read More. 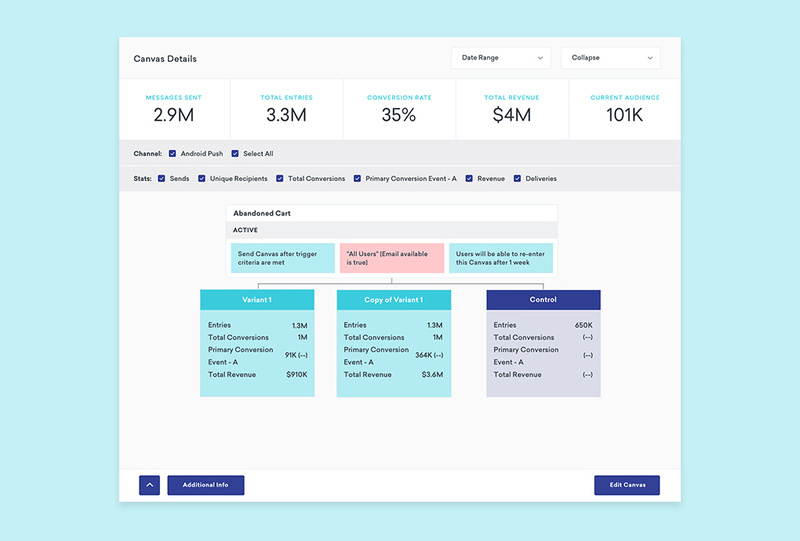 Literally see, build, and develop messaging for every individual customer journey. Personalize, test, and optimize as you go. Send messaging infused with real-time information, like local weather or relevant flight data, taken from public APIs and your servers. Stop waiting forever for data. 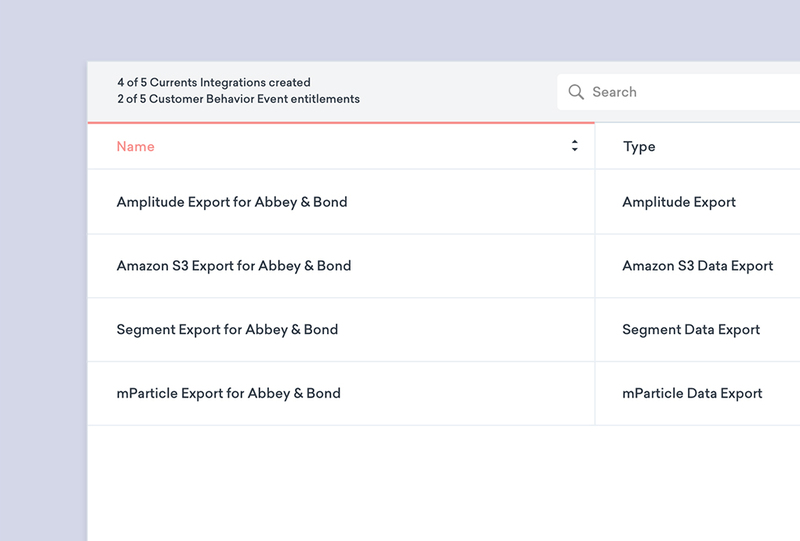 Import and export high volumes of data in milliseconds with Currents, our data streaming tool. Learn why Braze (formerly Appboy) was placed highest for ability to execute out of 15 mobile marketing companies.